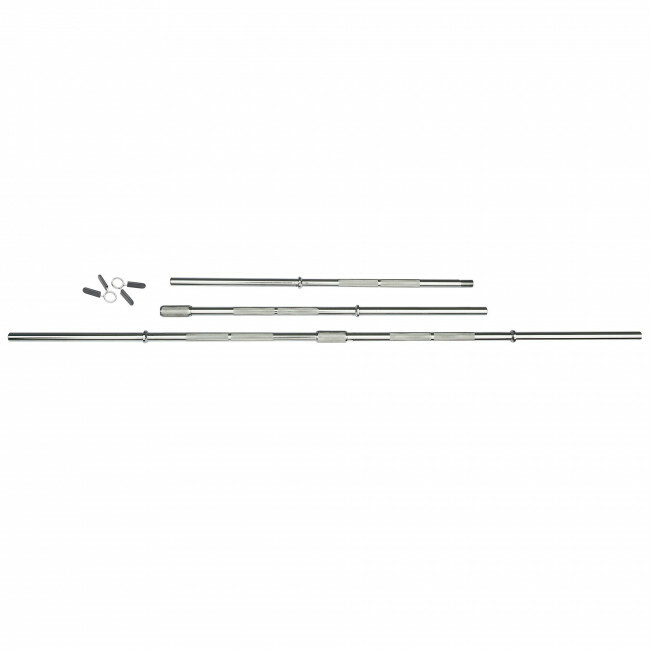 This 5ft standard chrome barbell bar comes with spring collars and is made from solid steel for great strength and durability. The chrome finish makes it look great and also helps prevent rusting, and the knurled design ensures better grip so you can lift with confidence. Thanks to its 2-part design, you can store the bar much more conveniently and the our 1 inch spring collars that are included make sure the weight plates are secured onto the bar so lifting is safe. Use the bar, which is compatible with "standard" discs with 1” (25.4mm) diameter holes, for a wide range of strengthening exercises to get your upper body working hard and stronger.